What do my home insurance premiums pay for? Home insurance premiums are a necessary evil for most homeowners; it may hurt a little paying them out, but the financial protection you receive in return is crucial if you want to avoid a potentially financially ruinous situation. And with millions of people all over the country paying monthly and annually for such cover, it’s easy to assume that for insurance companies selling policies is money for old rope; they can just sit there and watch the cash roll in. But the premiums you pay in return for cover don’t just go in to some vast pot that’s then used to pay staff bonuses and shareholders mega-dividends, they serve to keep a variety of functions within an insurance business working without which there would be no insurance industry, and therefore no cover for your home! Insurers and insurance products may vary, but the basic principle of ‘the premium’ is the same. Insurers work out the risk involved with providing insurance, in other words the price of the insurance (in this case home cover) and in return make a charge, what’s known as the premium. Most premiums are paid monthly or annually. These days, you are often offered a slight discount for agreeing to pay for cover up front, in one go instead of spreading payment out over a number of months. 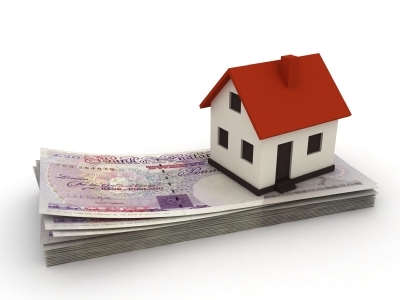 If one customer in their first year of taking out home insurance with an insurer pays a typical premium of £500, but in the final month of a 12 month cover term makes a claim for £2,000, which the insurer then pays, the insurance company is going to be out of pocket by £1,500. However, because the insurer will in all likelihood have many thousands of other customers paying premiums for home cover, but who won’t necessarily claim, then the insurer will be able to afford to meet the one claim of £1,500 without being out of pocket. The less claims made, the less likely it is the insurer will make large increases across the board for the home cover it offers. This is why, after major one-off events such as the recent flooding, premiums can rise by more than they may have done otherwise across the board for all those with insurance, not just people who needed to claim. It goes without saying, but an insurer has costs associated with running the business, and providing customers with the service needed. From marketing and winning business, to paying salaries and owning or renting office space, an insurer must be able to cover general running costs, and a chunk of your premiums which will go towards doing so. Because events are, by their very nature, unpredictable and unforeseeable, insurers need to have cash in reserve to meet potential claim payments. They use a huge variety of weird and wonderful statistical and probability-estimating techniques to work out just how much they should keep in reserve to always have enough cash to meet claims. An insurer, in any one year, may face a multitude of claims far higher than the average and must therefore bear this in mind when working out how much to keep in reserve so that they can meet claims during just about any possible eventuality. Insurers don’t only hold your premiums in cash (after costs of running the business are taken into account, such as paying staff and renting offices etc. ), they also invest the money. Not only can medium to long-term investing returns provide an insurance business with extra profit, it can also benefit society as the investments insurers make often involve long-term national infrastructure projects. It also means insurance premiums don’t have to rise as fast as they might otherwise do as the profits the business makes are boosted by the investments without having to turn to the insured to increase profits. Of course, this isn’t all to suggest insurers are like charities! They need to make profit in order to survive, but it’s good to perhaps know that it’s only a small part of your premiums that go towards any profit made, with the rest helping keep an industry going that’s vital to the well-being of a nation’s economy.